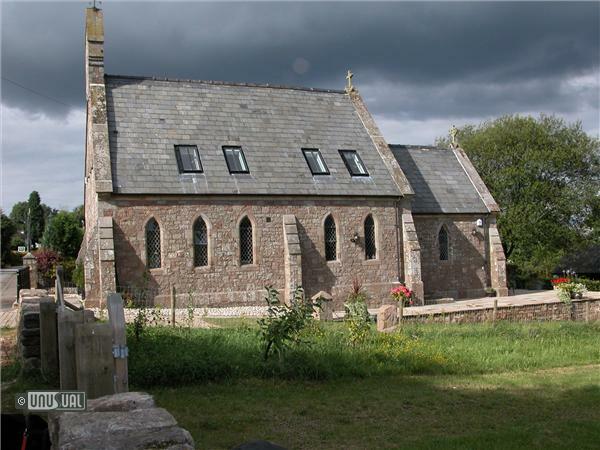 St Mary's Church was built in 1869 at the height of the Arts and Crafts period. 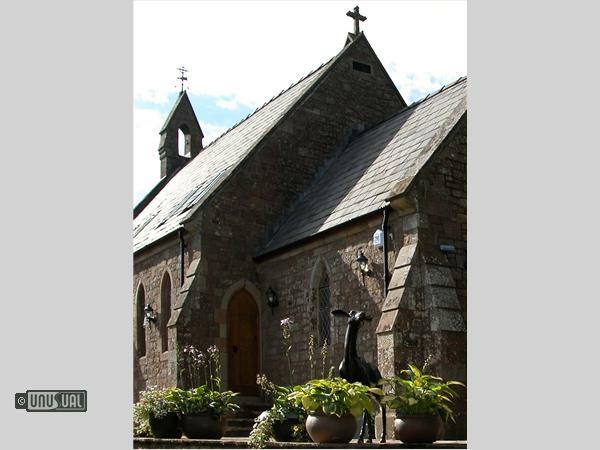 Capel Pentwyn is a 2005 conversion of the church, which was deconsecrated in 2003. 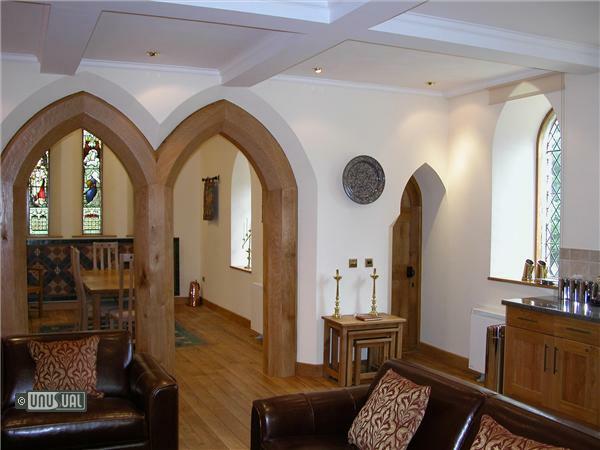 It adjoins the Old School, which is also available to rent. Sleeping up to five, it has been sensitively converted by local architercts to reflect the style of the late Victorian period. 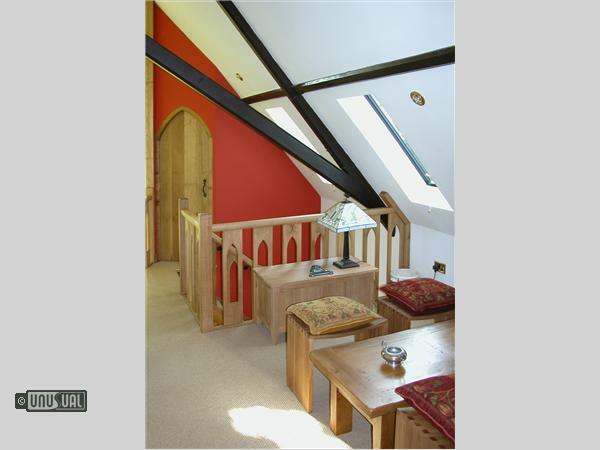 Externally, little has been changed except for a simple garden, parking for three cars and a large terrace giving panoramic views over the valley and to the nearby Forest of Dean. 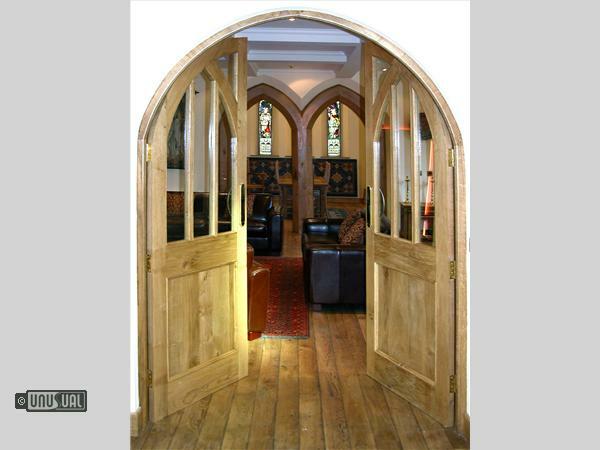 Internally, it has been sensitively converted to comfortable accommodation. An entrance lobby soars to the rafters and a gallery from the first floor overlooks the entrance. 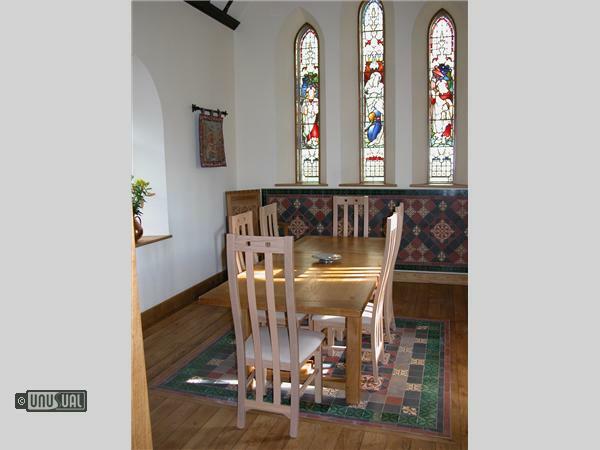 The apse, with wonderful stained-glass windows, forms an elegant dining room with the original Victorian tiles reset in an oak floor that covers the whole ground area. 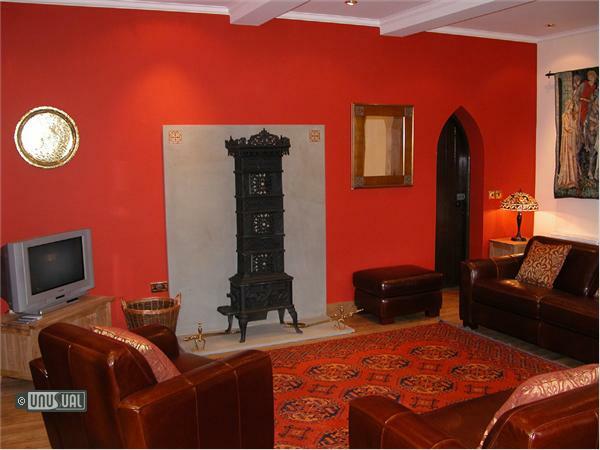 The large lounge has oriental rugs and period tapestries and an antique wood-burning stove of the period imported from Norway, resting on a hearth created by a local sculptor from Forest of Dean stone. The building has been designed with attention to the needs of those who may have disabilities and there is a downstairs single study bedroom and a "wheel-in" shower and bathroom. 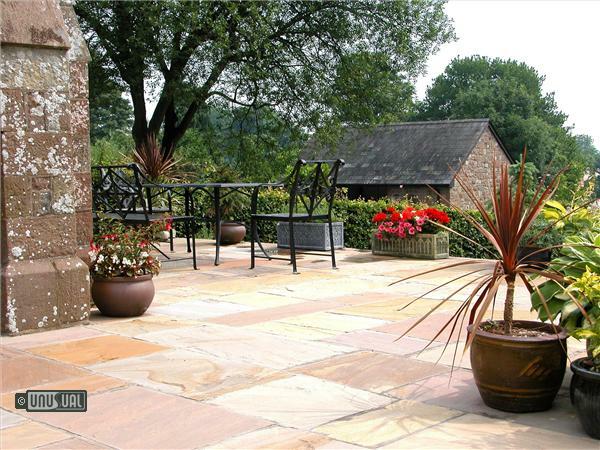 The whole ground floor and garden is wheelchair friendly. Minimum stay 3 nights. Friday to Monday 3 night weekend break and a Monday to Friday 4 night break. Three-night packages from £260 in low season rising to £475 in high season. Seven night stays are from £460 in low season, rising to £850 in high season. Extra charges for pets apply, however there are discounts of 20% for couples and late bookings. 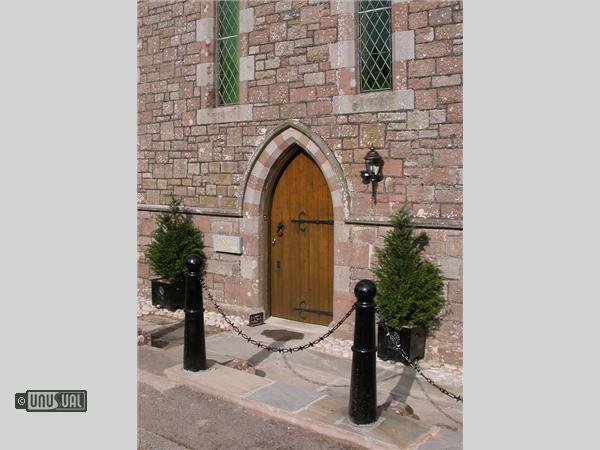 Capel Pentwyn adjoins the Old School, which has also been restored, and together the two can accommodate eleven people for larger groups, house party or special occasion.